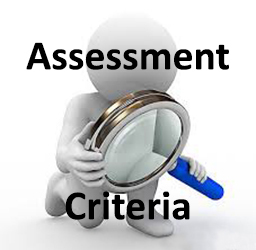 The Assessment Week will commence from Monday 23rd April until Sunday 29th April. 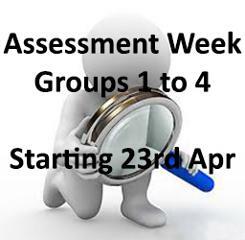 During this Assessment Week Groups 1 to 4 will be assessed. The purpose of the assessment is to closely review the progress of each swimmer and measure them against the current criteria to ascertain if they have developed enough to move, either up or down the groups. There are a number of assessments carried out by the coaches at each one of the training sessions during the Assessment Week. Obviously, the more sessions a swimmer attends, the better and more rounded the assessment will be for the swimmer, by the coaches. The criteria attached below provides an outline of the minimum requirements that a swimmer must attain to be considered for a move upwards. These criteria is not the only consideration when the coaches discuss and agree any changes after this week. As the swimmers develop and based upon historical data, the criteria are reviewed on a regular basis and dependent upon how the whole assessment week goes, adaptations may occur as part of the coaches’ discussion to ensure we develop the swimmers either for competition or just to maximise their potential. At the end of the Assessment Week, the coaches sit down and discuss these results and agree any groups changes that may need to occur. 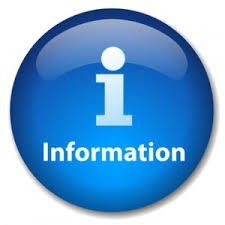 Once the final discussions have occurred, the results will be posted on this website and on the Club noticeboards, we are expecting results to be announced week commecing 14th May. To allow the coaches to focus on the assessments, it is extremely important that they are supported by volunteers on poolside. Scribes - as the coaches review the progress of the swimmers, we need someone to shadow the coach and write down their thoughts and comments. Marshals - to ensure a smooth-running session, we need help in herding the swimmers, ensuring they understand what it is they need to do (based on the instructions given by the coach) as well as ensuring they start at the designated staggered times. Timekeepers - most of the session will involve timed tasks, we need people to time these and collate the timings onto predefined sheets, as long as you can stop and start a stop watch and write the time down, is all that is required. None of these roles require and training or previous experience. If you are interested in helping, please use the Job Signup function associated to this event.